Bed and Breakfast IL BORGO is situated at5 km from the main touristic attraction of the Area such as SANTA CESAREA TERME AND CASTRO and at 10 km from Otranto. The B&B IL BORGO allows everyone to enjoy a unique experience to share the lifestyle of the place and the people who live in a little village of the south of Italy. We are pleased to invite you to spend your holiday with us, to offer you a relaxing and familiar environment, and where in addition to our smile, we are sure you will appreciate our professionalism and the attention to details. 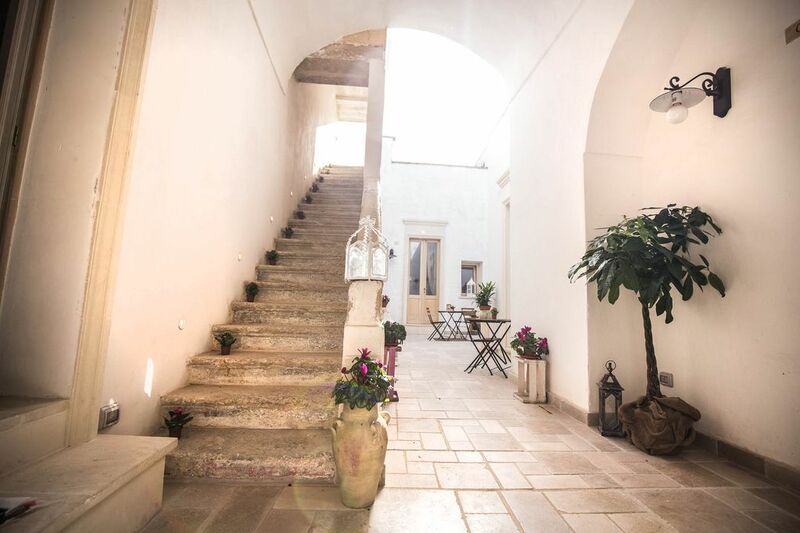 In the heart of Salento, to a short distance from the main beach of Salento, is situated the bed and breakfast "Il Borgo", a 1700 fully restored courtyard structure with six comfortable air-conditioned double rooms with private bath and furnished with a sustainable creative design. The property is located in a quiet setting, away from traffic, in the historic village of Poggiardo, in a typical courtyard of the old houses of Salento. The rooms, maintains the charm of the house in Salento, are spacious and bright, with its own bathroom, TV and air conditioning. Each room has a private bathroom, a private entrance and access to the common outdoor space. It 'has a double bed or two single beds depending on your needs. The attention to detail, including sheets and towels, and modernization of the architecture make it one of the most attractive accommodation to sleep in Salento. We will provide to our guests information and maps of Salento, indicating the characteristic and most interesting places and being ourselves available for creating routes. In addition, you can ask free, the sms service to be informed of events, festivals or parties present during your stay. There is a large outdoor area with chairs and sun loungers to enjoy the sun at home or to spend moments of relax, tasting a glass of wine. - Check out: by 9:30. - Luggage: If necessary, you can also deposit your luggage outside the scheduled check-in or Check-out free.